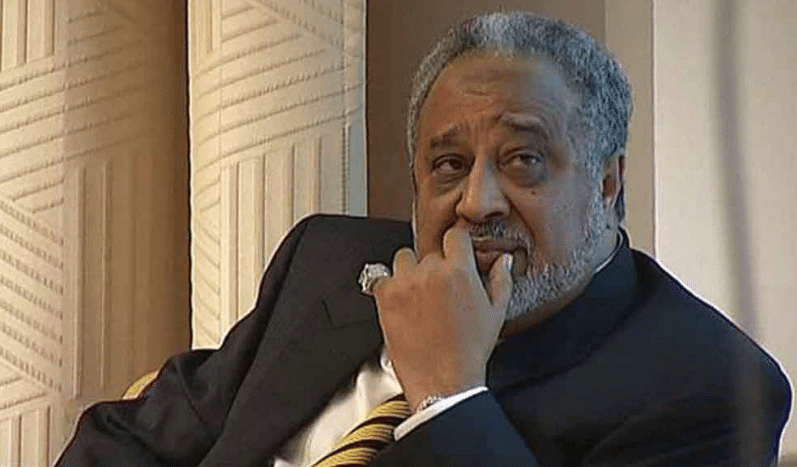 The Ethiopian born Saudi tycoon, Mohammed Hussein Al-Amoudi and all the remaining detainees that were held at the Ritz-Carlton hotel have been transferred to Al-Ha’ir prison, a maximum security prison south of Riyadh. The Middle East Monitor quoted the Arabic Al-Araby Al-Jadeed news site as saying authorities have transferred the remaining detainees being held at the Ritz-Carlton hotel to Al-Ha’ir prison because they have refused to pay large payments, 70% of their wealth, to secure their freedom. The report said nearly 60 detainees were transferred to the most high security prison in the Kingdom. The prisoners include Prince Al-Waleed Bin Talal as Prince Turki Bin Abdullah and a number of government officials who refused to make the large financial payments for their release. Among those transferred to the maximum security prison is Mohammed Hussein Al-Amoudi whose worth is 10.6 Billion dollars and owns businesses in hundreds of millions of dollars in Ethiopia. He works works closely with the TPLF oligarchy that granted him thousands of hectares of agricultural land and several prime plots in the capital Addis Ababa. He hit jackpot with gold in Ethiopia and has been mining gold for over two decades. His agricultural and construction projects stretch all across the country. Early in November Crown Prince Mohammed Bin Salman ordered the arrest of about 200 princes and businessman accused of high level corruption. But the purge was also seen as a move to raise money for the cash strapped Kingdom’s treasury. Authorities aimed at raising 100 billion dollars in return for the release of the suspects. Prince Miteb bin Abdullah had been released after paying more than $1 billion for his release. And a few others had reportedly reached settlement for their freedom. The Ritz-Carlton hotel is now available for booking starting next month, according to its website.